You can use the Guild Store when you join a guild. 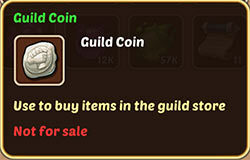 The Guild Store you will pay using Guild Coins. Idle Heroes Strategy Game Guide. You can use the Guild Store when you join a guild. The Guild Store you will pay using Guild Coins. Personally, I think the best way to spend Guild Coins is Guild Tech. So do not spend Guild Coins at Guild Sore until you raise your team bonuses at Guild Tech. Guild Store in each guild contains the same goods. 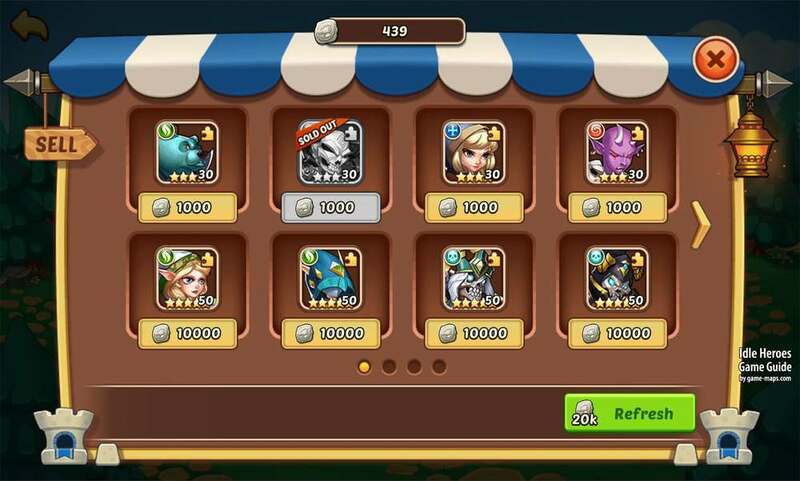 More importantly, if you buy an item or hero at the Guild Store and then give a "Refresh" to the store assortment, the same items will reappear. This is a good way to collect the right amount of 5 Star Heroes to develop a character to a higher level. The popular good character you can buy in Guild Sore is 5 Star Queen.